Sonic Bothy is an inclusive new music ensemble that explores, composes and performs experimental and contemporary music. We are a group of musicians with and without additional learning support needs, some of whom are musicians working in Glasgow’s new music scene. 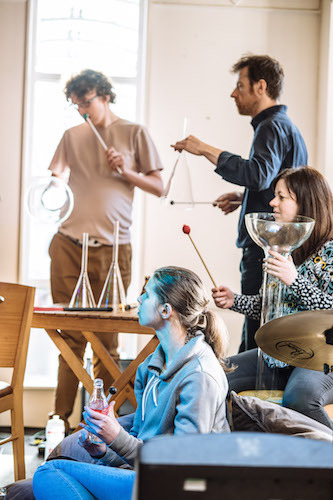 Working across genres to define new ideas and directions in collaborative composition, we create original, inspiring new music that we perform to audiences across Scotland and beyond. Formed in May 2012, our ensemble was the first inclusive new music ensemble to play at GIO Fest VI and V (2012, 2013), Glasgow Music’ s new music series ‘Sound Lab Presents…’ (2013, 2014), Counterflows (2013), Merchant City Festival (2013), with the Japanese Otoasabi Project (AC Projects, 2013), and the first to take up a residency with performance at Sound Festival (2014). In recent years, Sonic Bothy have performed at the ISME conference (2016), as well as hosting their own gig in Mono (2017) which received a very positive review from The Cusp magazine. Sonic Bothy’s vision is to create opportunities for musicians with an additional learning support need to individually create, perform and collaborate in making original new and experimental music. 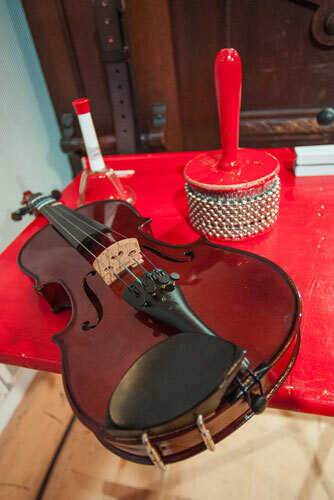 We seek new ways to collaborate on a truly equal footing within mixed ability ensembles. We wish to realise the significant contributions disabled musicians can make to sound, art and music culture, and to celebrate and promote music created by individual artists and mixed ability groups. We make space within Sonic Bothy for musicians to explore what their music means to them, what skills and ideas they wish to develop. We create links and supported opportunities outside of Sonic Bothy with our partners for musicians to take part in residencies, collaborations and performances, supporting our musicians to try their ideas in more formal settings if they wish. As a mixed-ability team we design open learning opportunities for schools and for the public with an ALSN to explore new and historical ideas in music, and to find their voices in creating their own. We ask questions of our musical environment and the forces that shape our music, working with others to remove barriers to participation. We are passionate about equality, experimentation and new music, and strive to find new ways to learn, compose and perform. We like to share this learning through public discussion events, online films, workshops and performances.